Control issue is the key for applying hydraulic hybrid system, especially for common pressure rail (CPR) system which has the huge potential to enhance efficiency. In the paper, the mathematical model of hydraulic cylinder speed control system using new hydraulic transformer is established. Then an adaptive fuzzy sliding mode controller based on Pi-sigma fuzzy neutral network is designed to solve the problem of parameter uncertainty and nonlinearity without establishing the precise model. 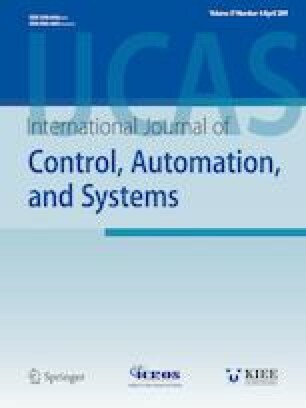 Furthermore, compared to PID and conventional adaptive fuzzy system, the controller proposed can achieve good control performance and strong robustness in the presence of time-varying uncertainty. Recommended by Associate Editor Bin Jiang under the direction of Editor Hamid Reza Karimi. The authors acknowledge the contribution of the National Natural Science Foundation of China (51505289) and Open Foundation of the State Key Laboratory of Fluid Power and Mechatronic Systems (GZKF-201708). Wei Shen received his Ph.D. degree in Mechatronic Engineering from Harbin Institute of Technology in 2014. He is currently an associate professor with the Faculty of Mechatronic Engineering, University of Shanghai for Science and Technology, China. His research interests are in the area of control systems and energysaving research of hydraulic systems. Jiehao Wang was born in Shanghai, China, in 1995. He received the Bachelor's degree in Mechanical Manufacturing and Automation from Shanghai University of Engineering Science, Shanghai, China, in 2017. Since 2017, he has been pursuing an M.E. degree in Mechatronic Engineering from University of Shanghai for Science and Technology. His current research interests include new hydraulic transformer, hydraulic hybrid system, nonlinear system and robust control.